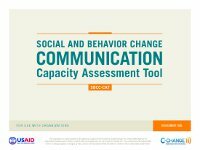 C-Change’s Capacity Strengthening Toolkit for SBCC comprises tools, products, online resources, and courses and training in SBCC. Each component can be used alone or in concert with the other resources. 1. The SBCC Framework guides implementation of SBCC programs and activities. 2. C-Capacity, an online resource center and electronic newsletter, identifies important SBCC resources and training opportunities. 3. The Community Conversation Toolkit for HIV Prevention (available in Siswati, Chichewa, Kikaonde, Ndebele, Lozi, Sotho, Zulu, Sesotho, and English on C-Hub) contains a set of six field-tested, interactive materials that help communities in southern Africa to “own” dynamic conversations on HIV prevention and mobilize to take action. 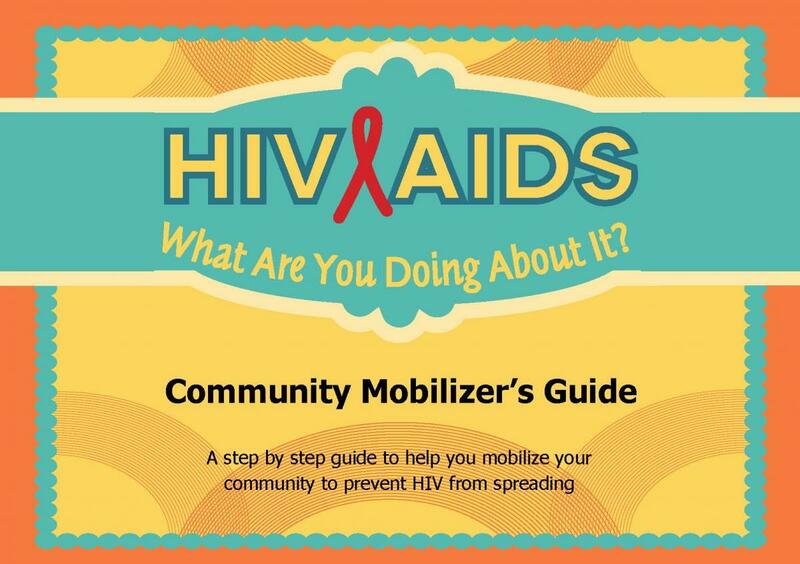 The toolkit includes a facilitator’s guide, dialogue buttons, community mobilizers’ cards and role play cards, playing cards, finger puppets used for storytelling, and “throw” boxes with proverbs and best-kept secrets. The materials have been adapted by local organizations to local contexts that go beyond the local language. This includes integrating local proverbs into the tools, developing artwork that depicts the cultural context, and testing with intended audiences. C-Change Nigeria completed the latest adaptation in April 2012 and facilitated orientations on toolkit use for partners in Cross River and Kogi states. 4. C-Bulletins (10 bulletins and an Introduction) assist communication practitioners who develop and adapt SBCC materials for audiences with lower literacy skills. 5. The SBCC Capacity Assessment Tool (SBCC-CAT) assists organizations, networks, and individuals to assess and measure capacity in SBCC. 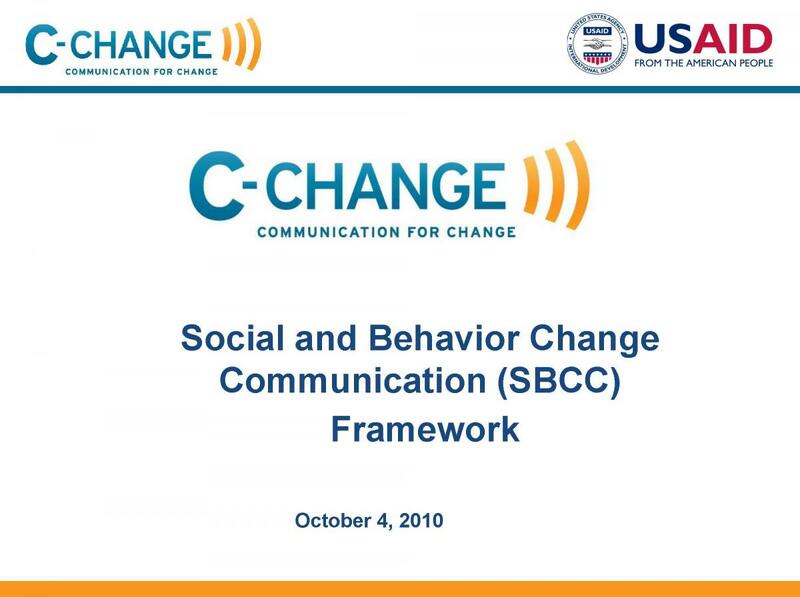 C-Change has developed the SBCC-CAT in three versions--one for organizations to measure their technical capacity and needs in SBCC, another for donors and networks to assess their own capacity and that of the partners they support and manage, and for individuals to measure their own SBCC knowledge and competencies. See the Resources page to download these tools. 6. 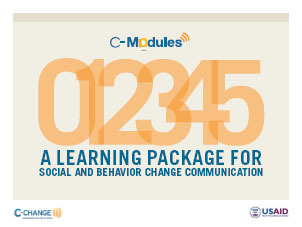 C-Modules: A Learning Package for SBCC comprises six modules, each with a practitioner’s and facilitator’s guide. They can be used singly or sequentially, in face-to-face workshops that provide training and capacity strengthening in all aspects of SBCC. 7. Online SBCC courses, based on the C-Modules, were launched in partnership with Ohio University. For further information on the online instructor-led and the online self-paced versions of these courses, please click here. 8. A short SBCC course is being finalized for USAID’s Global Health eLearning Center. 9. Center of Excellence courses in SBCC at certificate and master’s levels are being offered in South Africa at the University of Witwatersrand's School of Public Health. Other centers of excellence in SBCC are planned for Nigeria, Albania, and Guatemala.